In my last post here, I shared why I stopping posting my Quarterly Goals (and updates) on the blog. It was easily one of the most difficult posts to write for me. Because not only did it involve me talking about things I struggle to admit even to myself, but I was also nervous about how it will be received. But I really had no reason to be nervous. Because you guys are the very best. The outpouring of support I received on that post, and through private messages on social media, has made my heart so full, that I don’t know where to even begin thanking you guys. But I have to start somewhere, so here goes – thank you so much – for reading, for understanding, and for your unconditional support and encouragement. It means more than I can ever articulate. In response to that post, some of you even suggested that I should take a break, step back a bit, before I step forward and revive the Quarterly Goals series on my blog – just to ensure that I am doing it for the right reasons. And I completely agree. That was my plan too – to take the 4th quarter off, and start afresh from the new year. But here there is one other thing I want to address, especially because I hadn’t made it clear in my previous post, and as a result, after reading it some of you asked me why I stopped following a system that worked so well for me just because of a few people who clearly did not know what they were talking about. It was then that I realized that I hadn’t made this clear in my post, but I will now. So here is the thing. I never stopped following the Quarterly Goals system. I only stopped sharing the goals (and updates) publicly. That is all. Honestly, this goal setting and tracking thing is so firmly ingrained in me, that I don’t even know how to function without it. But of-course, I forgot to mention that, and so here is the clarification. Anyway, moving on, today I thought I’ll share how I did on my second quarter goals, so that I complete that loop (in my own head, more than anything else). 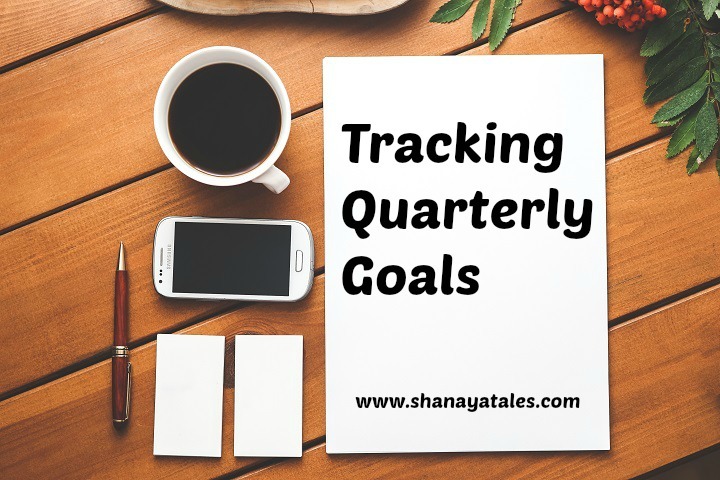 I know it’s going to sound ironic at this point, especially considering everything that went down in that quarter, which led to me pausing the series on the blog, but I actually had an amazing second quarter – goals wise. I completed every single goal on my list. Yes, every single one. Something I never managed to do in any of the previous quarters. So yay me! At this point I don’t want to get into the details of the goals of that quarter (because it’s been so long now), outside of the fact that I completed them all. But if you are interested, you can check out the list here. That being said, there is one goal I added newly to my list that quarter that I do want to talk about. And it’s Self Care Sundays. I talk more about the what and the why here, but even if I say so myself, Self Care Sundays was clearly one of the best ideas I have had for myself in a LONG while. Now admittedly, this doesn’t always happen on a Sunday, but I do make the time for a mindful me-time break sometime during the weekend. Which for someone as task-oriented as me, is a BIG win. That’s all from my end, folks. 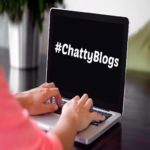 I am going to make this the official Chatty Blogs post for the month too, reviving that disappeared monthly linky with this post as well (what is it that they say? – two birds, one stone?! 😀 ). I hope you link up with your chatty posts. More details below. I love the idea of a self care Sunday. I ususally have what I call a blob out day – usually a Saturday. Works wonders. I agree. And it’s not like I block out the entire Sunday (or any other day for this) – usually it’s a couple of hours at the most – and yet it drastically improves my mood for the entire week. Glad you’ve revived this linky party Shantala. Well, you’ll have to wait till the last Thursday though because I can’t write more than one gratitude post as there isn’t that much to be grateful for! You could possibly pick a weekday then? It’s never a whole day that I take off – though I would love to! A few hours here and there – they do wonders for my attitude throughout the week. Congratulations on 100 per cent goal achievement. Doesn’t happen too often. And I’m so glad you decided to bring the goals post back. Let me say it again I’m glad you did that post. Good for you for sticking with the Self-care Sundays. I’d have to make one of the weekdays as a me-day. Weekends are so very rushed. Thank you so much, Tulika. I can’t fully express how relieved I am after writing those posts. Thank you for your constant support and encouragement. Means a lot. Hugs. Oh and you can pick a weekday. I say a day, but I usually only manage to find a couple hours on a Sunday (sometimes Saturday) but they do wonders for my attitude throughout the week. I am marking on my calendar to participate on the next chatty blog link up. I am glad you decided to change your thoughts on the quarterly goal posts. More power to you. Congratulations on meeting ALL your goals, Shantala! Go YOU. I’m not sure about the last post but I’ll check out what was going on. Sounds like you have it all under control now and more. Self care is so important yet overlooked often especially when we have young children. I do find as my kids are grown and gone, that it is easier for me to take time for self care. Good for you for making it a priority. I just happened to write a post for this meme, catch up over coffee/chatty blogs and wasn’t sure if you were still doing it. Glad to see it hasn’t gone as it’s a nice way to be more informal. I’ll check out the other blogs on this meme. Good to connect with you, as always.